The Restaurant Group, owner of chains such as Chiquito, Frankie and Benny's, Garfunkel's and Joe's Kitchen, has appointed MHP as its retained financial PR agency, following a competitive pitch. The Engine-owned agency replaces Instinctif Partners and one of its first tasks will be handling the announcement of The Restaurant Group’s interim results for the first half of this year, which will take place at the end of this month (August). The Restaurant Group operates more than 500 restaurants and pubs in the UK, many of them on leisure parks next to cinemas. The firm has experienced challenging trading in recent times. Sales fell 4.4 per cent to £679.3m in 2017, and pre-tax profits declined 20 per cent to £56.7m. More recently, like-for-like sales dipped 4.3 per cent in the 20 weeks to 20 May 2018, with chairman Debbie Hewitt citing "adverse weather". Oliver Hughes, MHP’s managing director and head of capital markets; Andrew Jaques, executive chairman of capital markets; and Simon Hockridge, director, will work on the new account, with support from account director Alistair de Kare-Silver and senior account executive Robert Collett-Creedy. 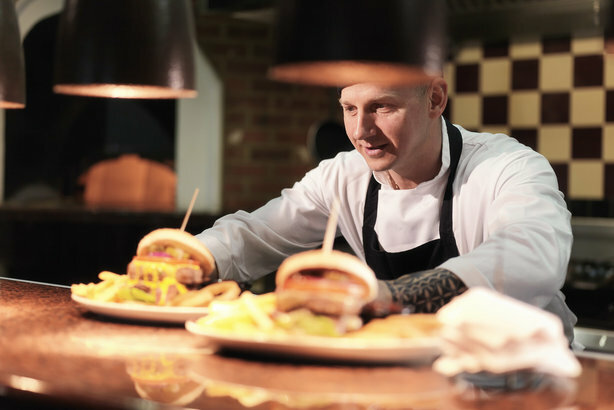 Hughes said:"The eating-out landscape has evolved significantly in recent years, driven by everything from changes in consumer behaviour to the impact of digital technology. We are delighted to have been chosen to advise one of the UK’s leading players in this market, The Restaurant Group, at an important time for the business as it executes its turnaround strategy." MHP’s capital markets team has undergone a number of changes in recent months. Hughes joined the agency from Brunswick in March this year and Jaques was promoted to executive chairman of capital markets - the final stage of the changes made to the agency’s senior team since the arrival of chief executive Alex Bigg in 2016. MHP has advised on one in ten of all companies floated on the London Stock Exchange in the first half of this year, advising on the listings of ASA International, baker Cake Box, law firm Knights Group, mobile firm Plus500 and finance company Urban Exposure. The Restaurant Group is the latest addition to the agency’s list of consumer clients, which includes Dunelm, JD Sports, Andrex owner Kimberley-Clark, L’Oréal, Mothercare and Young’s. It follows other recent wins for MHP, such as the Nationwide Building Society and venture capital company Draper Esprit, as well as an expansion of existing accounts such as The British Business Bank and research and analytics company MSCI.